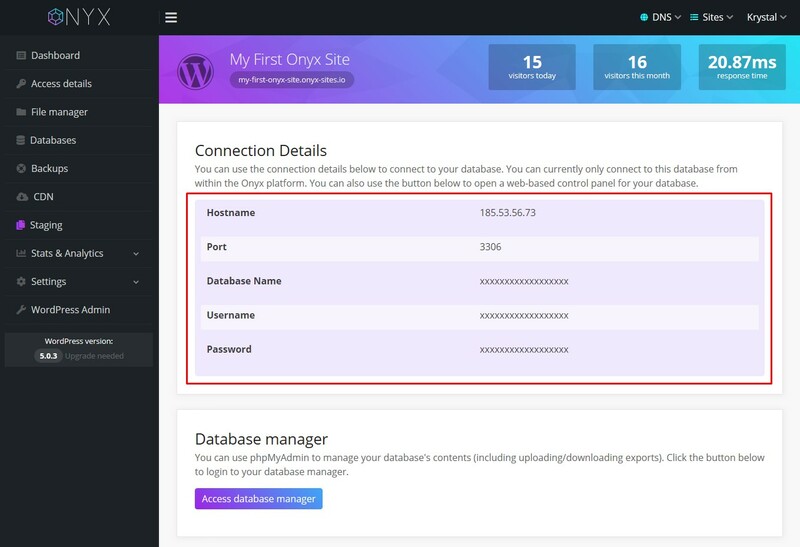 All Onyx's sites are provisioned pre-configured with database connection information so there would only be a few occasions where you would need to use your database information. Then click 'Details' next to the database you'd like to view the details for. You'll then see the relevant database connection and login details.